Katherine Brooks was born today, March 15, in 1976. 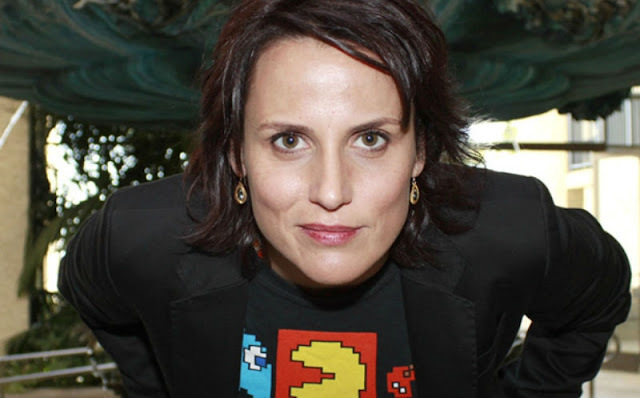 She is an American film and television writer and director. Brooks is a member of the Directors Guild of America, a Jury Member for Samsung Fresh-Films 2007—the largest teen filmmaking program in the USA, and is the recipient of the LACE Award for Arts and Entertainment, which honors women who have made a difference in the entertainment community. Brooks has directed prominent television shows, as well as written and directed films which received acclaim. Her film and television credits include three seasons of the Emmy Award-winning show The Osbournes, Newlyweds: Nick and Jessica, and MTV’s groundbreaking The Real World. While associated with MTV, she helmed the network's There and Back, with Ashley Parker Angel and Tiffany Lynn, Meet the Barkers with Blink 182 drummer Travis Barker, and directed and produced The Simple Life starring Paris Hilton and Nicole Richie. Brooks moved into directing feature films after receiving critical praise for her short films Finding Kate and Dear Emily. Brooks's work has been screened at over 100 festivals around the world, and she has garnered several awards, including "Emerging Filmmaker Award" at the Italian Film Festival and the "Grand Jury Prize" at the Chicago Film Festival. Brooks's first feature film, Loving Annabelle, the controversial story of a Catholic boarding school teacher, Simone Bradley (Diane Gaidry), who has an affair with her female student, Annabelle (Erin Kelly). It debuted at the prestigious Cinequest Film Festival in 2006; the film won the Audience Award and Best Actress Award at Outfest. In addition, Loving Annabelle won Best Feature Film at Melbourne Film Festival (2006), Barcelona Film Festival (2006) and Atlanta Film Festival (2006), and the Jury Award at Paris Cinema Festival (2006); the film picked up six audience awards and four Jury Awards over the course of the 6-month festival run. Brooks wrote her second feature, the indie thriller Waking Madison, in New Orleans, a film which stars Sarah Roemer, Elisabeth Shue, Will Patton, Frances Conroy, and Taryn Manning. The film explores the journey of a young woman suffering from multiple personality disorder. Brooks' latest projects include the documentary, Face 2 Face, and the drama, Lost In Time. Face 2 Face involved the director doing a 3-month summer trip around the country, meeting 50 of her Facebook friends who said yes when she posed the question as her status, "Who would like to spend a day with me and I’ll come visit you." The idea was born after the director had a surgery, and despite having 4,700 friends on Facebook, stated that she felt alone. Her latest film set for release this spring is Lost In Time. It take place in 2004, with Evan White (Kate Gray) traveling in southern Thailand when the Tsunami washed out the island of Ko Phi Phi. She is caught in a world between life and death and seeks help from a gifted young Psychiatrist (Jill Hennessy). Brooks is an activist for equality. Along with her work within the LGBTQ community, Brooks is a spokesperson for PETA and a practicing Buddhist who travels to India every year. Brooks lives in New Orleans, Louisiana. In 2011 she was named one of Power Up Amazing Gays in Showbiz.